Our Journey of Dreams Benefit is our signature fundraising event to celebrate, recognize and honor community members whose vision, leadership and perseverance have significantly contributed to improving the lives of children and adults with disabilities and their families. Dream Big for Children & Adults with Disabilities! Sponsor, Advertise or Buy Tickets for a great cause! Established in 1986, Parent to Parent of Miami is a not for profit organization that provides information, peer support, mentoring, educational training, coaching, and advocacy to families of children and adults with disabilities. Our parent network is comprised of over 14,000 families throughout Miami-Dade and Monroe Counties. Inspired by the calls of the families served every year, we started a planning committee to explore the options for this very important fundraiser. With a compassionate team of employees, board members and volunteers Parent to Parent of Miami launched its Inaugural Journey of Dreams Benefit on November 19th, 2004. Why Journey of Dreams? As parents of children with disabilities, we all have the dream that they will be successful, happy and accepted by others in the community. The journey is ongoing, different for every family but when the dream is fulfilled the possibilities are endless! Miami-Dade County is home to more than 34,000 students with disabilities and every parent has a Journey of Dreams for each of them. We know that there are many parents, brothers, sisters, relatives and other professionals that work endlessly every day to help students and families with their journey. We ask you to think about those you know at the local, state or national level that have made a difference in the life of a child or adult with a disability and nominate an everyday hero today. 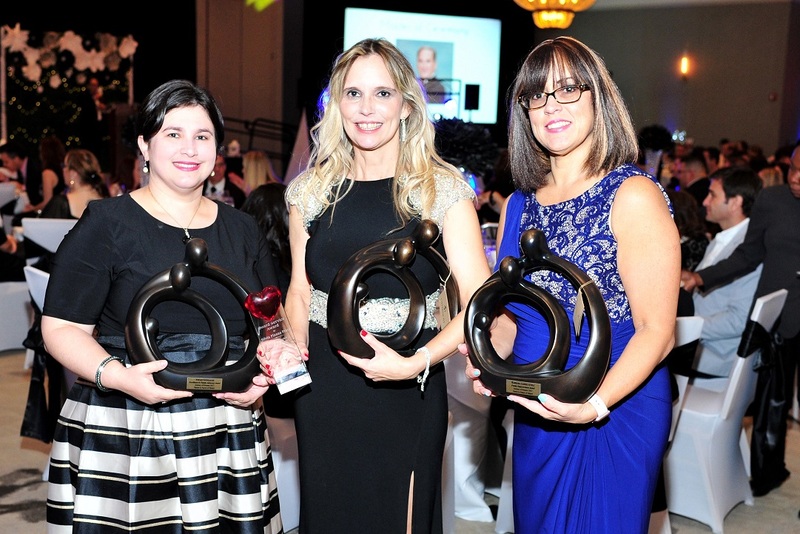 Family Empowerment Award is bestowed upon a parent or caregiver who has accessed the services provided by Parent to Parent of Miami and as a result enriched their life with the knowledge and support necessary to improve their child's and family's outcomes. 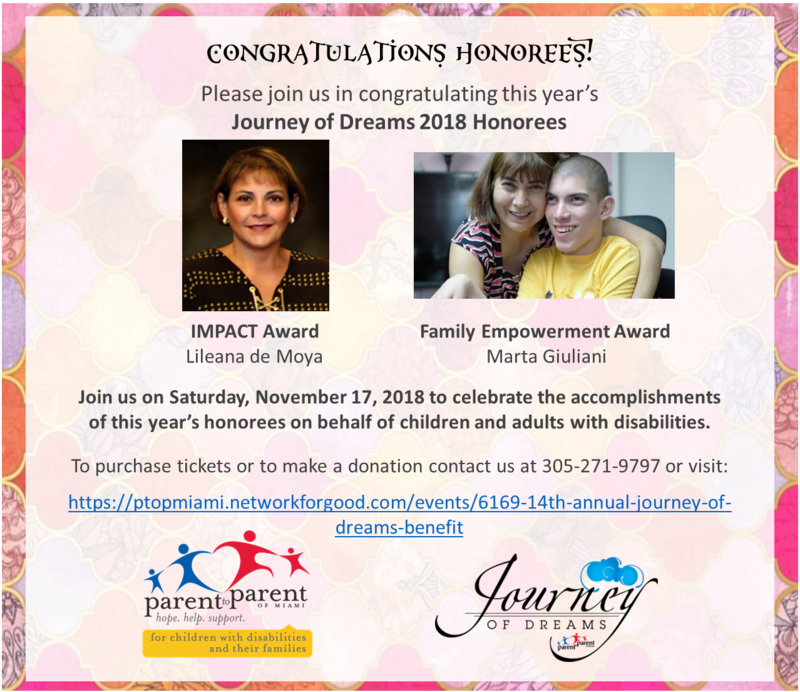 Recipients will be honored at the annual Journey of Dreams Benefit to be held on November 17, 2018 at the JW Marriott Miami.